The man of the moment did melt few fans heart following this gesture. Paul Pogba is in form of his life. Since the arrival of Ole Gunnar Solskjaer, the Frenchman has been in excellent form. Pogba under Solskjaer is defining the performances that all Manchester United fans were expecting from him. The midfielder through his excellent performances has helped his side win nine of their last ten games. The victories have helped United grab the fourth spot. Pogba delivered another wonderful performance as his side won 3-0 over Fulham. Manchester United fans loved what the World Cup winner did following the match. Man of the moment Paul Pogba seemingly can’t put a foot wrong at the moment. He bagged twice as Manchester United beat Fulham 3-0 to move into the Premier League top four and continue their revival under Ole Gunnar Solskjaer. Whilst his on-field performance garnered rave reviews, he also received plenty of plaudits for his actions after the game. The French World Cup winner spotted a young fan in the crowd with a sign asking for his shirt and duly obliged to give him an unbelievable gift. 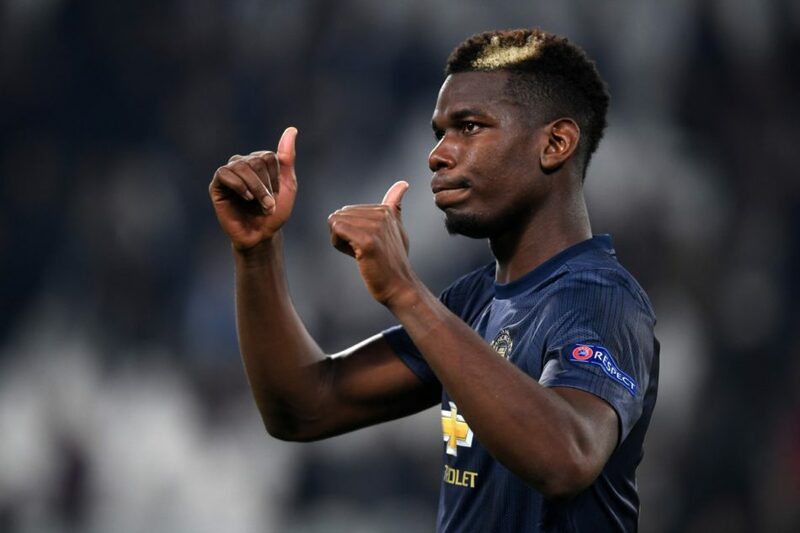 Fans were quick to praise Pogba for his “classy gesture”. 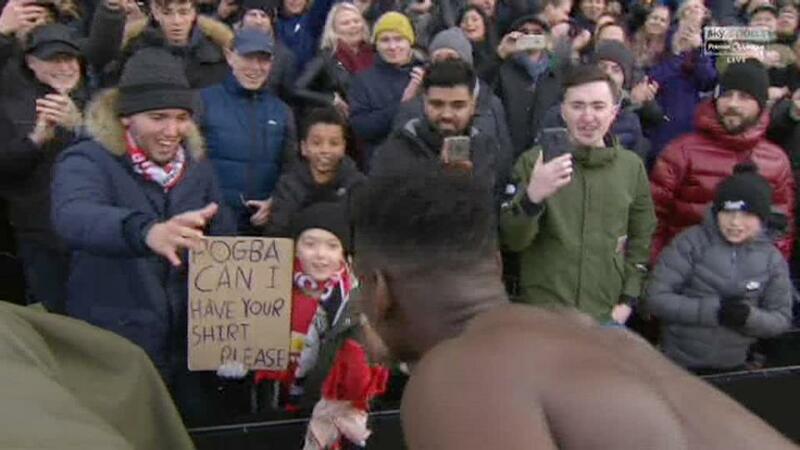 One fan noted that “Pogba loves giving his shirt away”, referring to the fact he has acted in a similar manner many times before. Another said it was a “nice touch” after his man of the match display with one fan stating it was an example of “why sport is the best”. Pogba has now scored 12 goals this season. Pogba’s brace means he has matched his previous season-best goals return of eight in his last eight games alone. Pogba continues his stunning form with two goals and a man of the match display. He’s earning plenty of admirers for his actions on and off the pitch at the moment. Given his performances Pogba deserves appreciation from everyone. Fans will be expecting the same level of performance from the Frenchman as the season goes on.